A pulmonary disease specialist, or pulmonologist is basically a physician who have years of knowledge and skill in the treatment and diagnosis of lung (pulmonary) diseases and conditions. Pulmonology is a medicine area that centered around the health of the respiratory system. A Pulmonologists have experience to treat everything from tuberculosis to asthma. Dr Nishtha is the leading Lung Specialist in Jaipur, Rajasthan, She has years of experience in treating all kinds of Respiratory Diseases. The respiratory systems contains the organs that enables you to breathe. There are 3 major parts of this system such as the lungs, airway and the respiratory muscles. In the world, Lung diseases are the absolute most common medical conditions. A huge number of people suffer from the disease of the Lung in India. Genetics, infection and smoking are some responsible reason for most of the lung diseases. Looking for Best Lung Diseases in Jaipur, Rajasthan, Consult with Dr Nishtha and Book your Appointment Now. If you are having any unusual symptoms, you should need to immediately meet with our Lung Specialist in Jaipur i.e. Dr. Nishtha Singh. She will perform some medical exam and evaluate your overall condition. 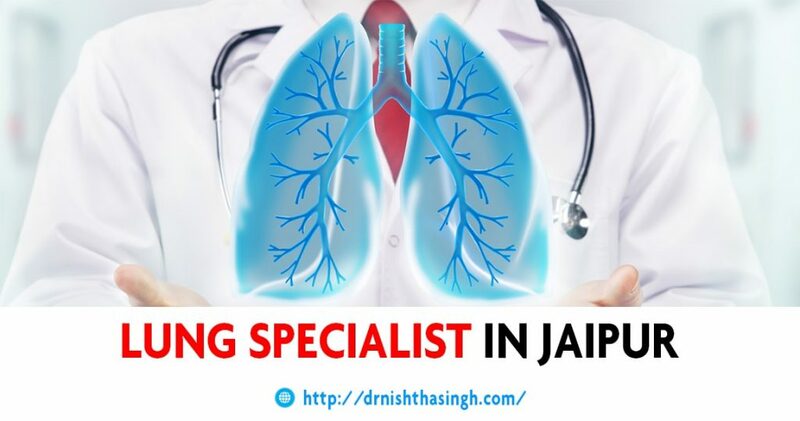 Dr Nishtha is Best Lung Expert in Jaipur. For more details or any query visit www.drnishthasingh.com. Asthma is a chronic and long term inflammatory disease. The patient feels to breathe roughly and shortness of breath. Pollution, allergies and infection are some common causes of Asthma. COPD (Chronic obstructive pulmonary disease): Patient unable to exhale the air normally, which create difficulty in breathing. Chronic bronchitis: A form of the chronic obstructive pulmonary disease characterized by a continuous productive cough. Acute bronchitis: Due to a virus, there is an infection near the airways. Cystic fibrosis: It is a genetic condition in which the patient is suffering from repeated lung infections. Lung Diseases Affecting the Interstitium causes interstitial lung disease (ILD). Sarcoidosis, autoimmune and idiopathic pulmonary fibrosis disease are some types of ILD. Asthma Bhawan was founded in 2007 by Indian Asthma Care Society. Our integrated method to patient care delivers you with state-of-the-art diagnostic and treatment services and opportunities to try new medications and therapies through clinical trials. Asthma Bhawan, R-3, Sector-6, Vidhyadhar Nagar, Jaipur-302023, India.